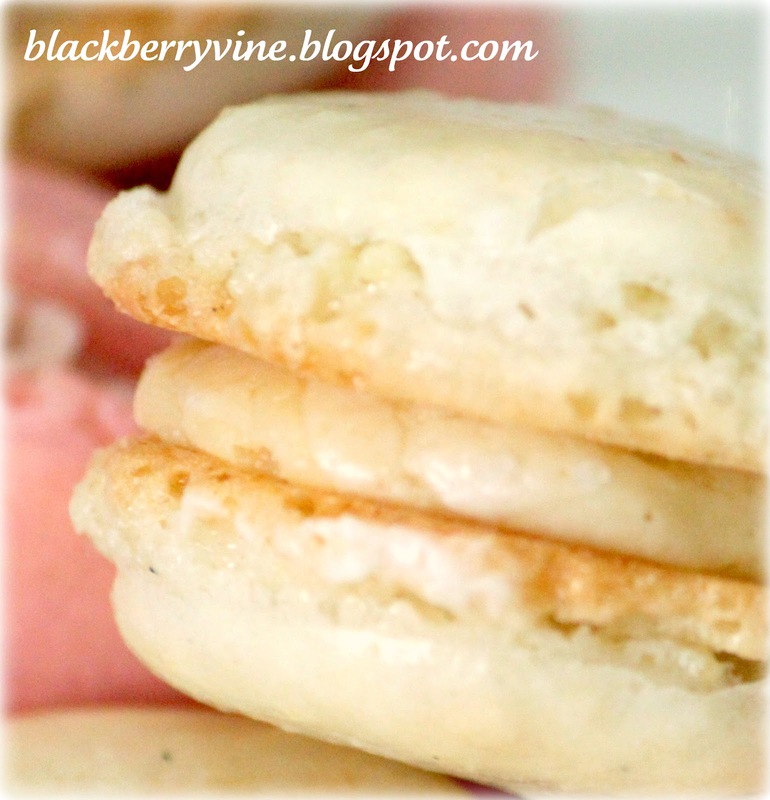 Have you made French Macarons before? They can be tempermental little suckers, huh? 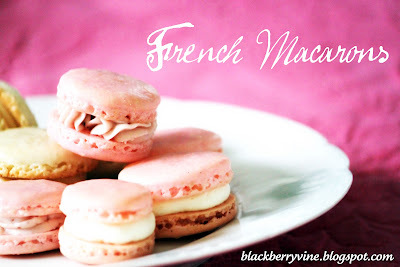 You can Google 'french macaron recipe' and get lots of different recipes. One day you make a batch and they are perfect...the next day, same recipe, and blah!Lucky for me I came across a gal that did all of the "dirty" work on French Macarons. I mean, this gal did an xy graph and everything! Go check her out at Not So Humble Pie. So I started with her French Macaron recipe HERE. The only thing I added was about a 1/2 teaspoon vanilla bean paste. They were yummy, though they did begin to brown. I filled them with a Caramel Swiss Meringue Buttercream sprinkled with sea salt flakes. To make the Caramel Swiss Meringue Buttercream, I made my Swiss Meringue Buttercream and mixed it with caramel sauce...easy peasy! CLICK HERE for Swiss Meringue Buttercream Recipe. So, so good...really. Better than what you can imagine. Because I couldn't just stop with one batch, I made another batch the next day. This time I used her second French Macaron Recipe found HERE. The pink ones were filled with more Swiss Meringue Buttercream. With some of the buttercream I added some cherry preserves and kirsch. Good, but think I'd like to work with that a little more. I also put some raspberry preserves on one to test it out...mmmm, good! Seedless red raspberry preserves would be best, but didn't have that on hand. My venture into French Macarons isn't over yet, so bear with me. Because they have a tendancy to be unreliable, not sure if these are something I might offer to clients. We'll see! If you haven't tried your hand at making these delicate little treats yet, definitely give them a try! They are srumdeleeicious! I've never had one but they look yummy. Mmmmm... I love macarons! Mine never come out as pretty with the perfect "foot" and smooth tops, but they're still delicious. Thanks for sharing. I was so sceptical but they were wonderful! I can't wait to sample more:). These look delicious and this will be tried! I found you at "Making the World cuter". Your macarons look BEAUTIFUL! 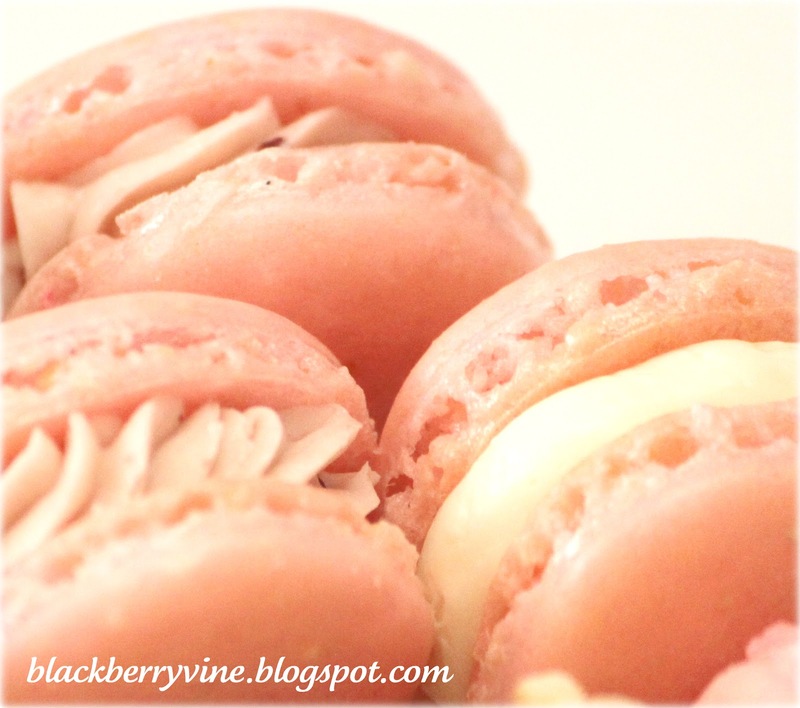 I love macarons, and occasionally get some from Laduree in NYC, but have always wanted to try making them! They look so intimidating, but I'll try following the recipe you posted the link for! Thanks! I've never had one, but they look beautiful! I bet they taste great too!